Are you one of those busy people who goes to work in the dark – then come back in the dark – for around six months of the year? 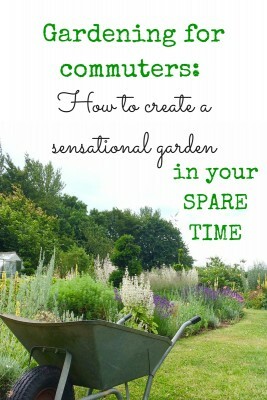 Does your commute feel like time wasted away from the things you really want to do – like gardening? Worst of all, are you putting off ‘doing something about the garden’ until you have the time? Kylie’s garden in high summer 2015. 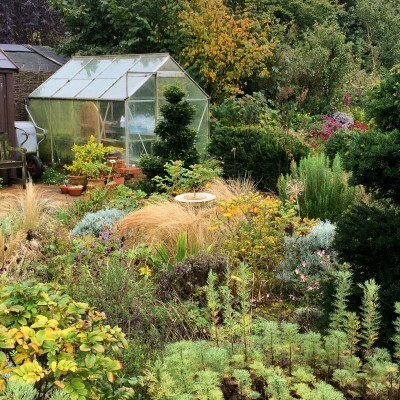 One of last year’s most popular posts on the Middlesized Garden was How to Have A Glorious Country Garden on A Tight Budget‘, featuring journalist Kylie O’Brien’s stunning half-acre garden in Kent. Kylie is definitely ‘one of the busy people’. She commutes five days a week to work in London. Her children have only just flown the nest. And she doesn’t have any help (either paid or unpaid) in the garden. But it’s so gorgeous that she’s opening for the NGS this summer. Late spring: Helichrysum italicum – curry plants – create year-round interest and don’t need much care. 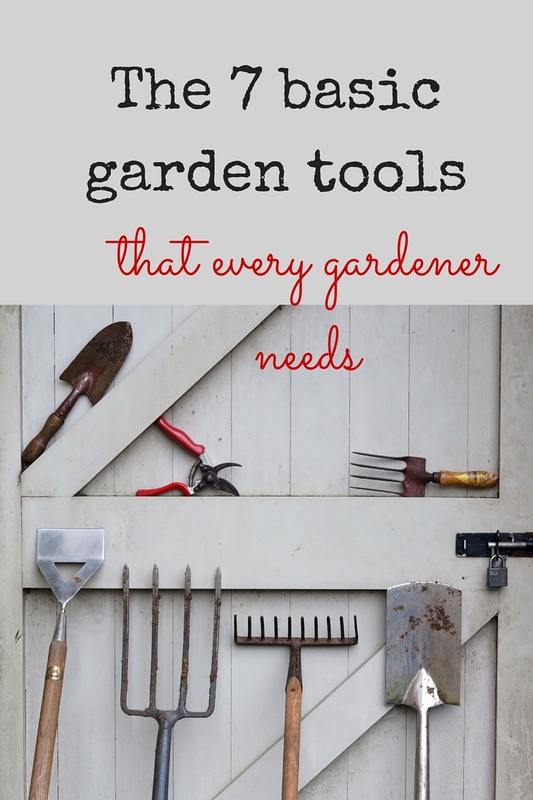 Most gardening experts are busy people, but it’s their job to spend time gardening. They’re not commuters. In winter, when days are short and gardening time is limited, you do not have the luxury of staying off the grass when it is frosty. Horti-pundits tell you that footfall fractures the grass, leaves ugly footprints and disfigures the sward. That may be so, but it has never done mine much harm, and besides, knowing the rules and abiding by them are totally different things. 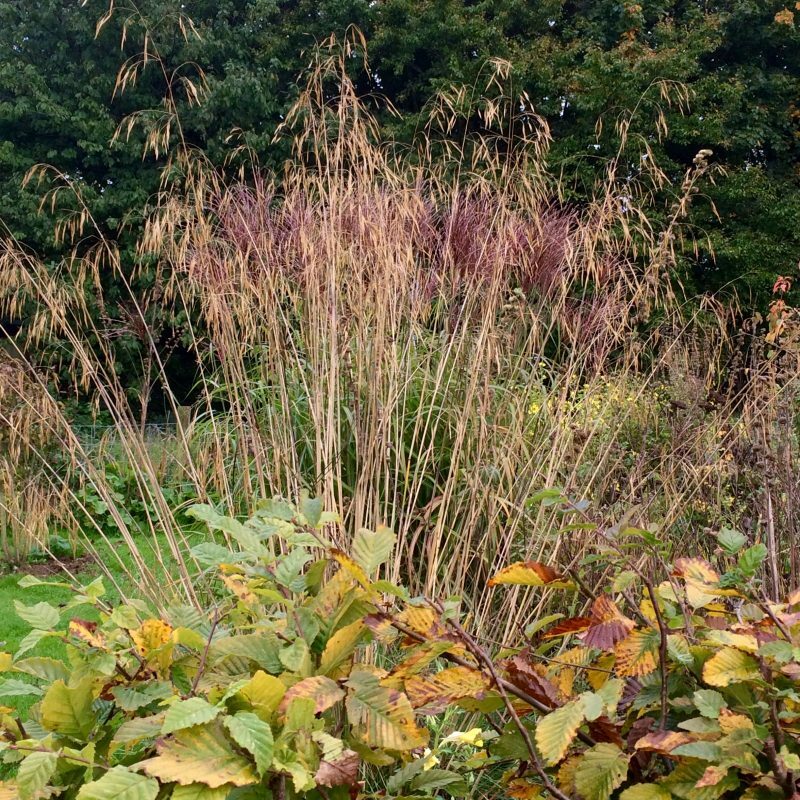 Similarly, my ornamental grasses are trimmed and tidied when they look tatty rather than waiting for the right time of year. None have died so far from over-vigorous garrotting. The same is true of my lavender, which I prune from August through to early October when I have time. 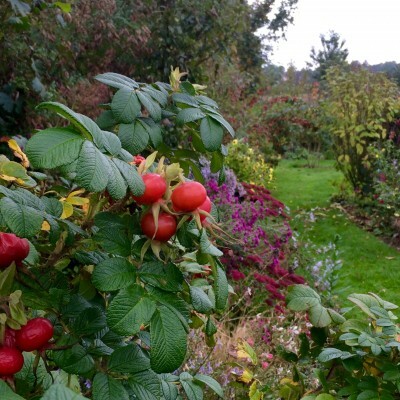 I cut back the roses throughout the year, perennials get a Chelsea chop, a Wimbledon hack, a pre-going-away-on-holiday tidy, and vigorous winter clearing. Cutting back is done all year round rather than at specific times. Forget little and often. It’s a question of gardening marathons. I am at it for hours (so long as the daylight lasts) in weekend bursts. It helps if you have stamina, enjoy your own company, are reasonably fit and find digging therapeutic. It’s a matter of starting early and simply not stopping, although now that the knees and back are not what they once were, I probably take more coffee breaks. Bought by my children a few years ago; I can weed and dig, repot and trim from the Today programme right through to PM, later of course in summer. And again, from the Archers Omnibus to the book programme on Sunday. Heavenly. My 14 hens and three cockerels are great company. Over winter, the red Sussex hens are allowed up from the field and into the main garden to help clear the borders of slugs and snails and other bugs, and of course their role as mobile manure-generators, pooh-ing prolifically everywhere they go, is very welcome. 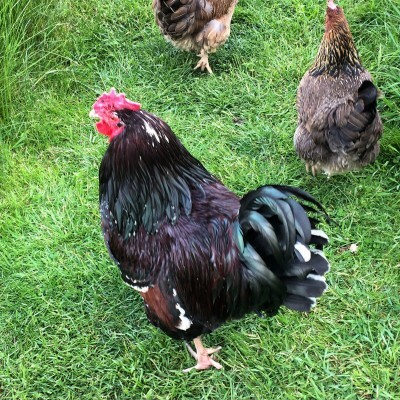 The handsome Porthos…he keeps Kylie’s other hens under strict control. 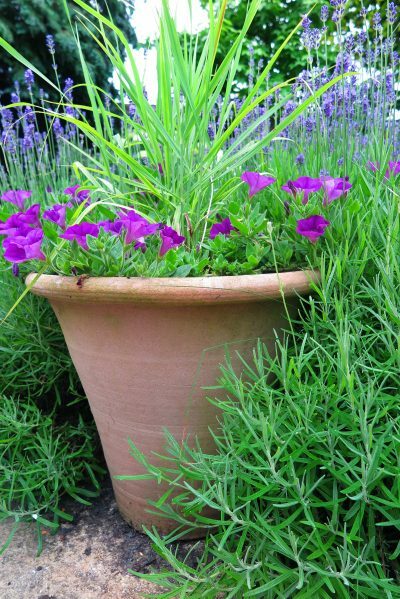 Watering, except the pots or very young plants, is a no-no, so plants have to be drought-tolerant. As for style, my garden is surrounded by fields, so the design fits in with the location — essentially prairie combined with annuals. The philosophy of right plant, right place is great for the speed-gardener; and means you do not have to improve your soil. Pragmatism rules. And those long commutes give you time to plan and research your plants before you order – make use of them! 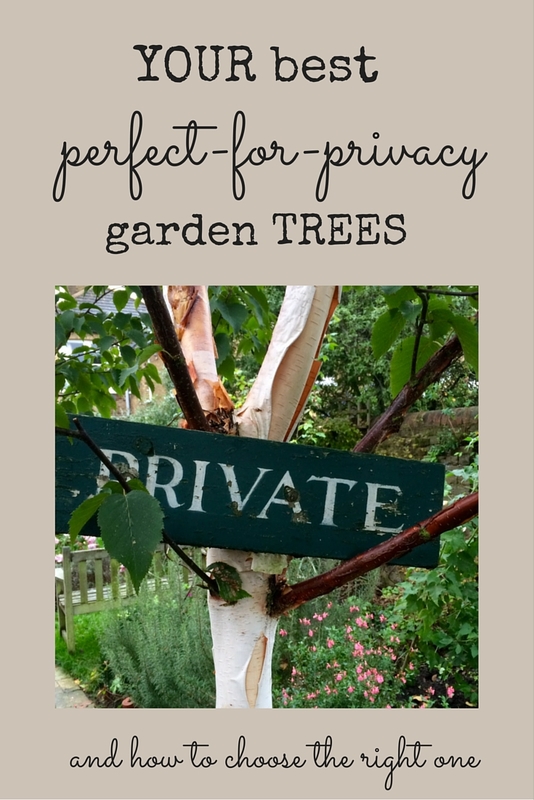 Kylie chooses easy, hardy plants that do well in most situations. On the flip side, some of the more needy varieties of plants will die through lack of attention or by being ignored on the wrong day of the week. I’ve had heart-breaking failures — farewell, fickle Daphne mezereum, all those fancy achilleas that reverted to yarrow within a year — and plants I don’t seem to be able to grow, no matter what. This year I’m finally giving up on Convallaria majalis, lily of the valley. If anyone has any tips on how to establish it, please let me know. And clematis. I can barely bring myself to think of all the beautiful climbers I have bought, and which have returned the favour by curling up their toes and checking out almost immediately they’ve been taken out of their pot. Topiary and hedging, which require sudden bursts of action (pruning) followed by months, if not years, of inaction, are a commuter’s best friend. They fit the schedule perfectly. The terrace garden has four yews shaped into spirals and egg-cup shapes, which are gradually, over the years, filling out; as is the small yew hedge with the beginnings of shapes (I haven’t decided what yet, maybe next year inspiration will strike). Kylie’s garden in the depths of winter. There’s no colour but the contrasts of shape and foliage make a beautiful winter scene. Great structure really helps the time-poor gardener. When all else is falling apart — you haven’t had time to weed, the geraniums are over-grown and swallowing the young alliums, bits of unidentified dead stuff, possibly wind-bashed cerinthes, need clearing — if you have a no-nonsense set of shrubs, trees, paths and hedging, you will have something that holds the garden together. Kylie’s greenhouse in the October garden. It was a very late autumn this year, with temperatures well above average. 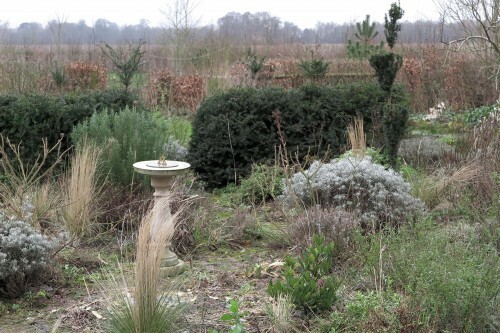 Note the pale grey Helichrysum italicum – curry plant – again, and how it works all year round. Busy people don’t worry about mess. No need to elaborate. 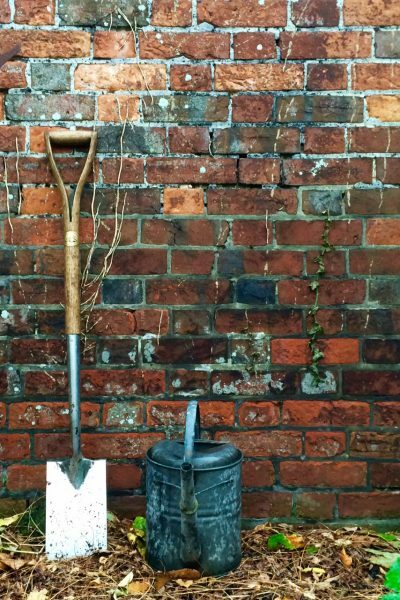 It’s just that the time-poor gardener will have a lot more of it than any other kind of gardener. You will have to develop your own philosophy about disaster areas, although it helps if it can be confined to a single area at a time. I try to focus on what the offending patch will look like next year, or the year after, and steer visitors in another direction. Remember to be extremely nice to them when you see them, which obviously isn’t often. 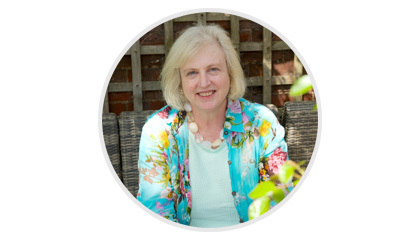 If you are lucky you will have a few hardy, forgiving soul mates who will not mind you bunking out of dinner parties by the time the soup is served or falling asleep through sheer fatigue while they are explaining their eldest child’s gap year plans. On the other hand, if they do mind, you won’t notice, because you will be planning next year’s roses. 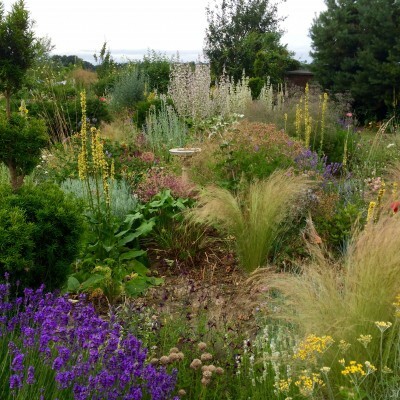 Kylie’s garden will be open for the NGS on July 9th and 10th 2016. 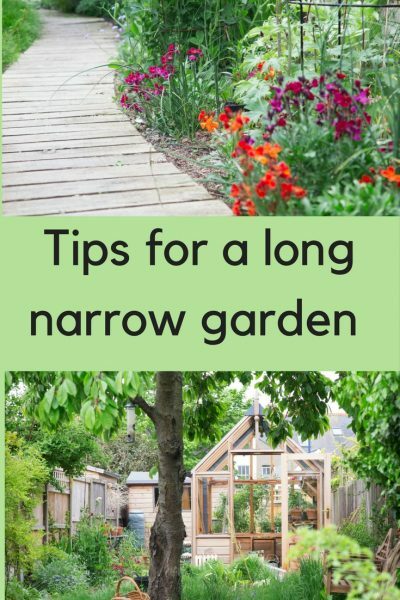 Join us every Sunday morning for garden tips, gardening news and tales of middle-sized gardens – look for the email sign-up top right of this page. And do share this using the buttons below – thank you! 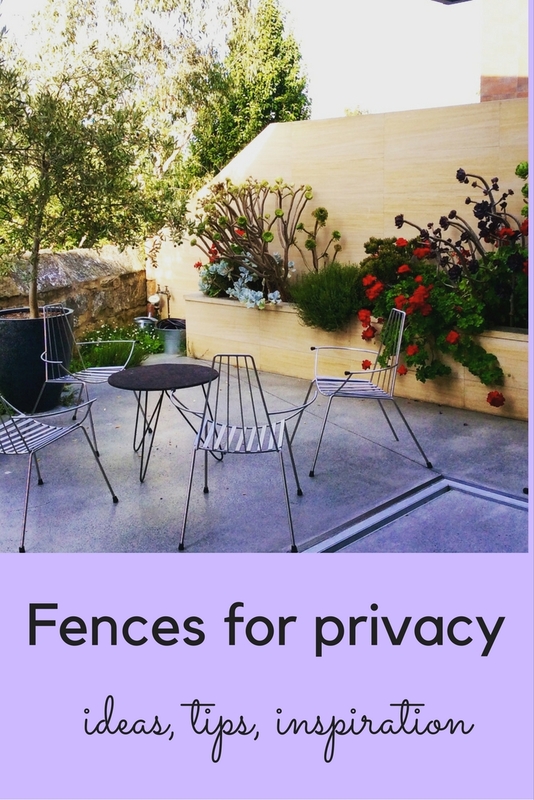 3 comments on "Gardening for busy people – how to create a sensational garden in your spare time"
Might I also suggest faking it! Most people don’t have time to curate a lucious lawn. So what we’re finding these days is they fake it with artificial grass! It’s a stable none muddy surface families can play on all year round. It’s not sharp or luminous like fake grass of the past, the new stuff looks and feels real. With all of the time you’re saving not tending to your lawn, you can spend looking after the more time sucking plants, or simply enjoying your garden. Great post. I do exactly the same. Most people were probably not gardening this weekend, but I had an unruly bed of alliums to deal with and no other time to do it. Next weekend I will be tackling an unruly bed of muscari! We have opened our garden for the NGS for three years and all our visitors are amazed at what we have created despite both working. 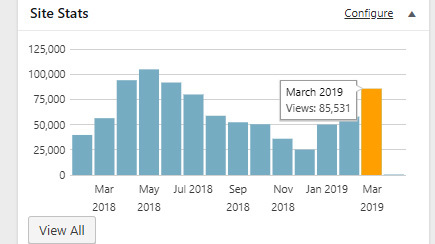 Most people want to know how long we spend gardening, but I find it hard to give an answer because we do it sporadically in marathons like Kylie. Maybe this year I should keep a timesheet! 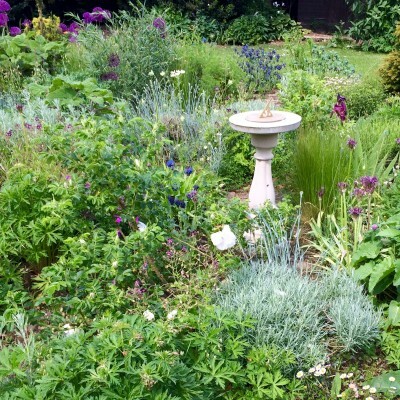 Your garden looks gorgeous – on your site and on the NGS site (May 22nd and Aug 20th, Herefordshire, in case any Middle-sized Gardeners reading this want to pop along).